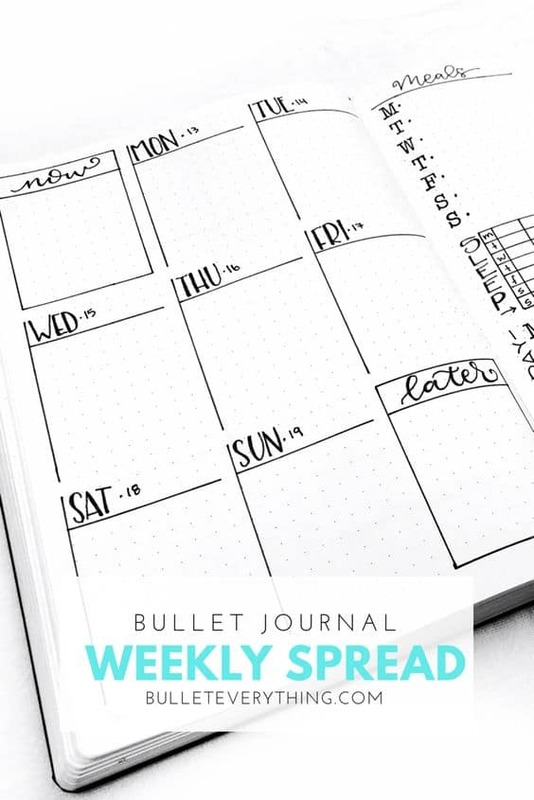 If you’ve been using your BuJo for a while, you will know that weekly bullet journal layouts are an absolute must. 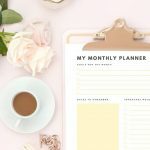 You can use up to five different styles every single month depending on how you track your weeks, so why not add a little variety? 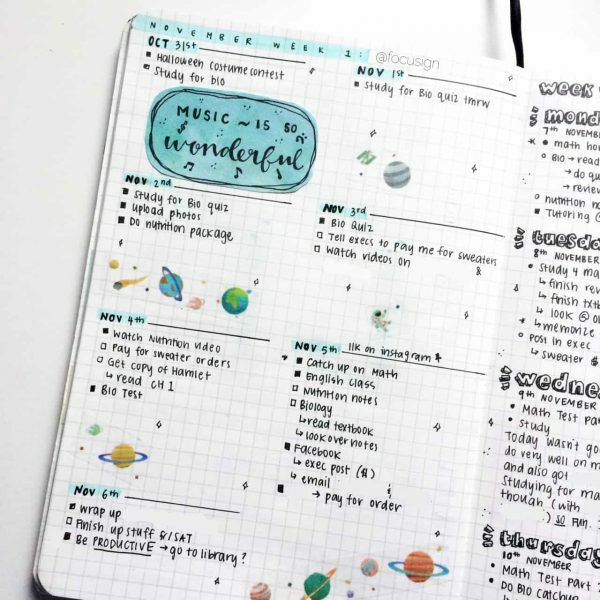 How sweet and cute is this layout? Of course, I have that collection of Zebra Mildliners and Pastel pens! I would love to learn what the notebook is because the peach is a beautiful colour! 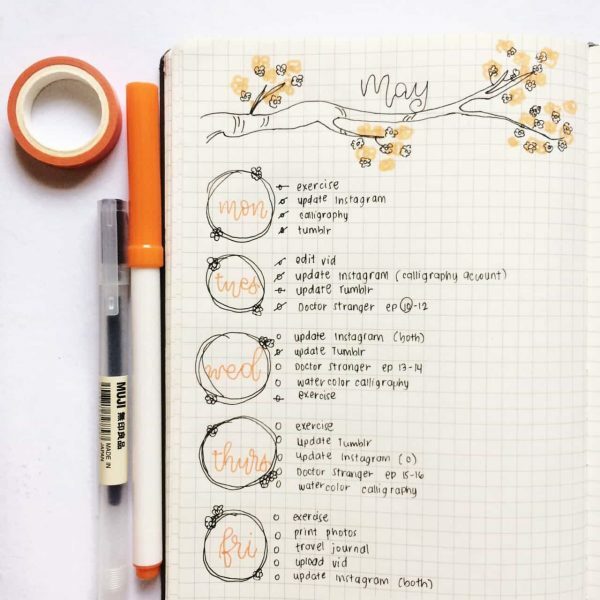 It’s making me less afraid to consider using thin washi tape in my bujo. I take a lot of inspiration from flowers and love to doodle them in my Bullet Journal. 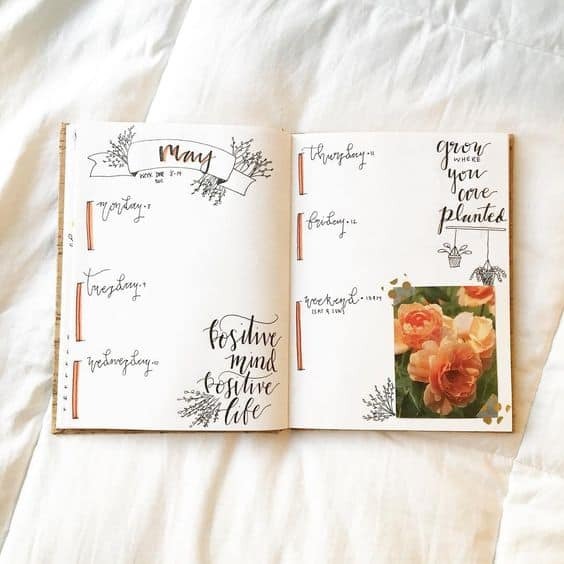 Along with creating gorgeous hand-lettered accents, Sou Calligraphy is not afraid to paste in photos and make her bullet journal more like an art journal. 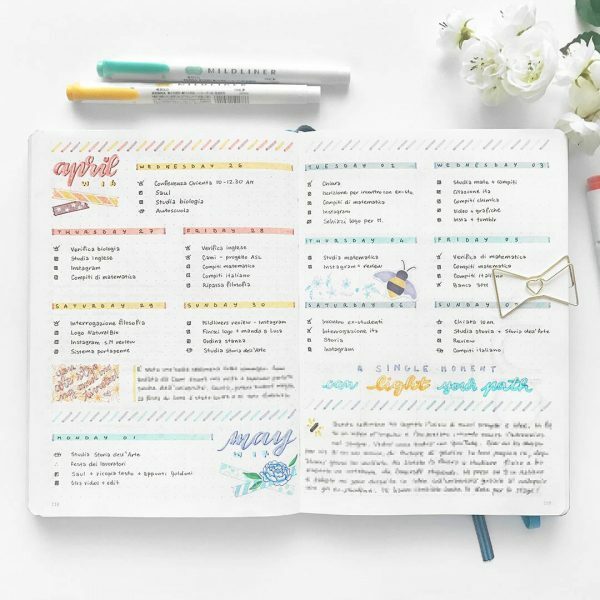 In the linked post, Christina explains everything you need to know about creating your own weekly journal templates and offers several colourful options for that you can use as inspiration when creating yours! How beautiful is this layout? I love how simple it is and the large numbers have been beautifully written. I really love this simplified layout with vertical boxes and banner along the top! Because I work from home, my daily lists are long so my weekly spreads always end up going across two pages. If I have a holiday week though, I will definitely use a one-page weekly template. 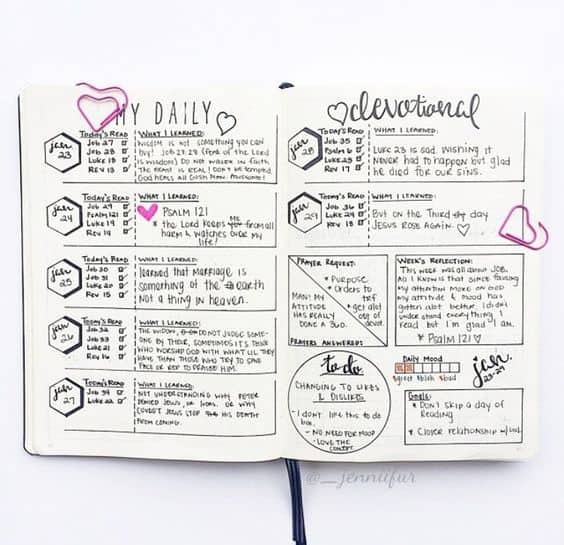 I really like how complex this is but there’s a lot included in this spread that I wouldn’t use but if you would use these, go ahead and download the template via the Katie Louise post. There’s a video so you can watch Whitney creating this layout! 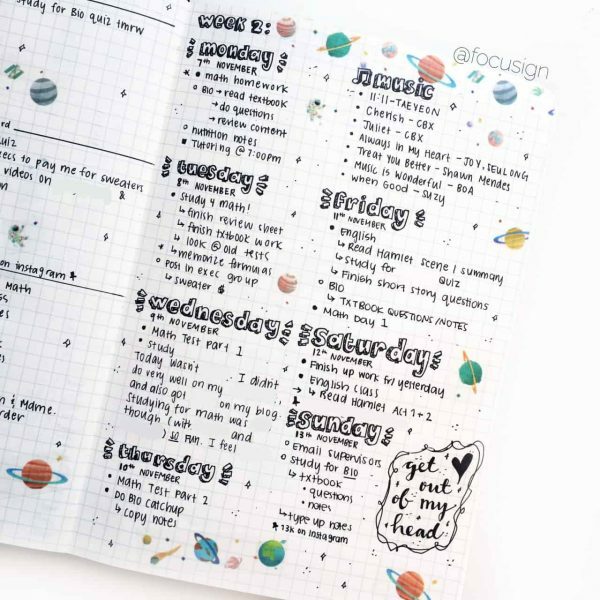 I would love to create videos of my bullet journal spreads but I am buh-lind and my head needs to be really close to the journal when I’m creating my layouts! Maybe I will go to the opticians and there will be videos in your future. 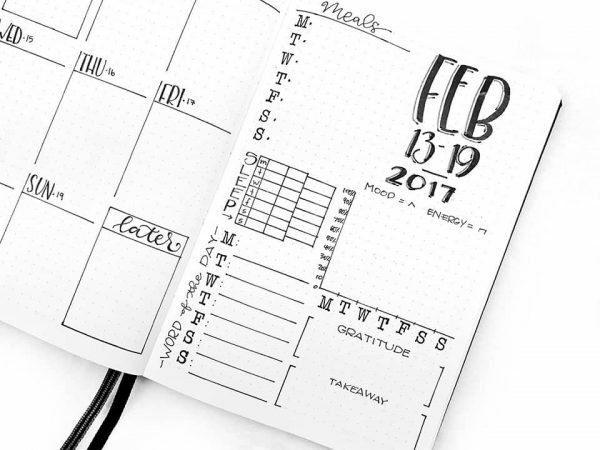 I love Whitney’s hand lettering style for ‘Feb’. It looks great! If you don’t know how to hand letter, there is always the option of printing and cutting title stickers! Owning a Cricut machine makes this really easy to do and you could do one better and print the stickers on transparent sticker paper like this stuff! I honestly think that this is one of my favourite weekly spread layouts. The black and white means that it is super simple but incredibly detailed at the same time. Even with the little pop of colour, I love it. If it was full of colour I’m sure it would look incredible! 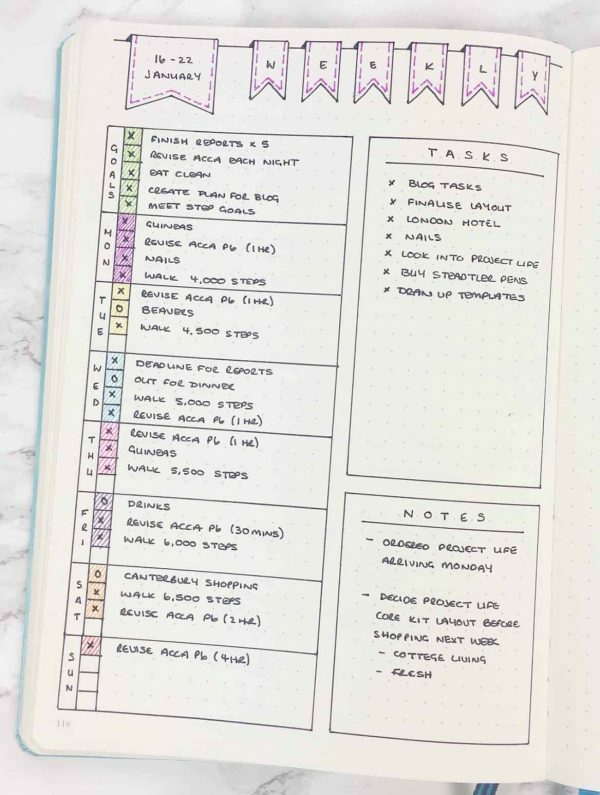 Using washi tape and stickers is always an option with your bullet journal! Use what you love. You can find a lot of incredible sticker styles on Etsy. 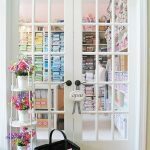 Whether you want official brands who sell Planetary washi tape, or you want hand drawn stickers, Etsy is an amazing resource for bullet journal supplies! I must admit that orange isn’t my favourite colour, but can you imagine this layout created with delightful pastel shades. Heavenly. 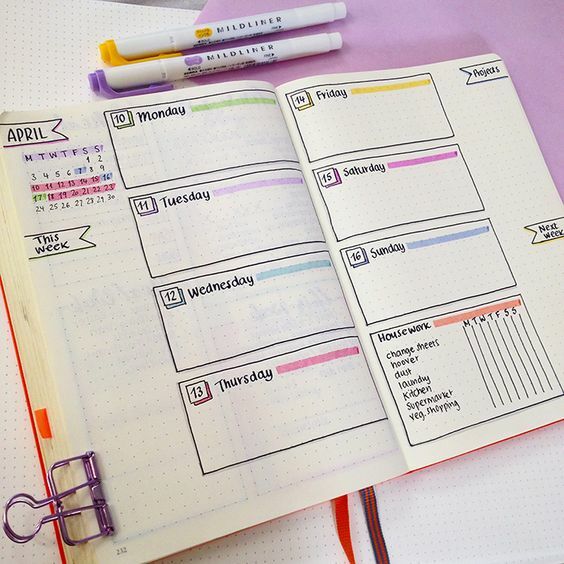 If you don’t have many items on your daily lists, this weekly layout on one page is super simple and elegant. If you hadn’t guessed, I love pastels! Markers and tape alike. 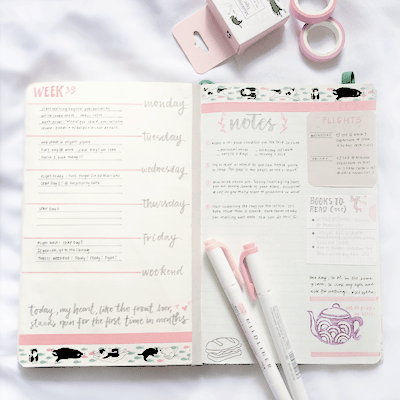 This weekly layout is beautiful and elegant with a touch of whimsy thanks to the patterned washi tape! How beautiful is this double page spread? 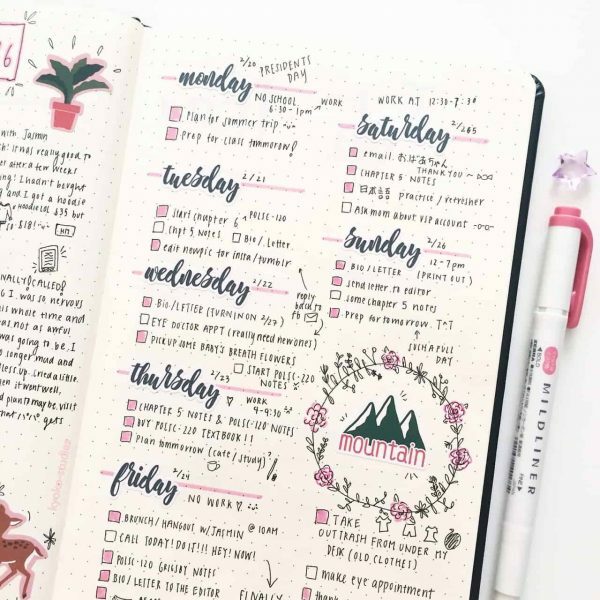 Chic Girl Studies has a lot of amazing bujo spread ideas on her Tumblr site so you should definitely check them out! I Looooooooooove Blue Lahe! 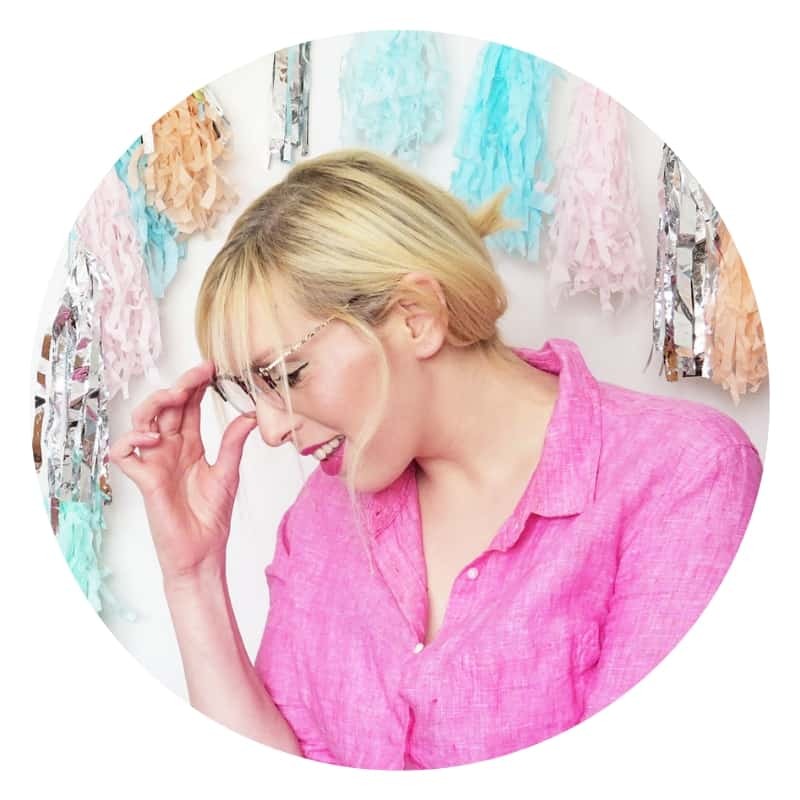 She has a wonderful Instagram feed AND youtube channel! I first discovered Blue Lahe through Youtube. Adding colourful details is definitely in the Blue Lahe wheelhouse and I’m a huge fan. This is another layout by Blue Lahe that I wanted to share because it was such a contrast to the previous weekly layout style! 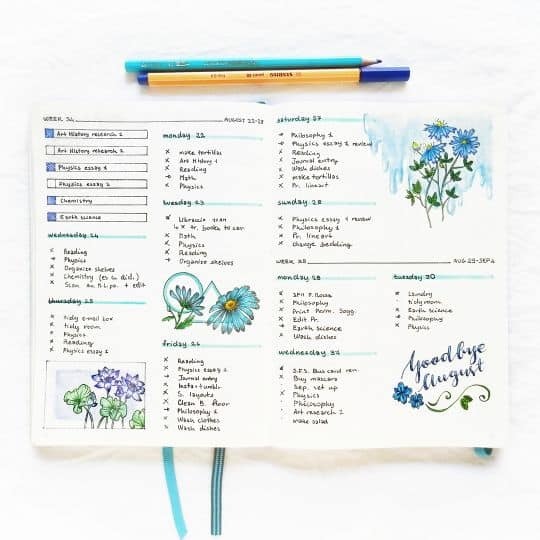 If you love drawing flowers, this is a lovely layout idea. 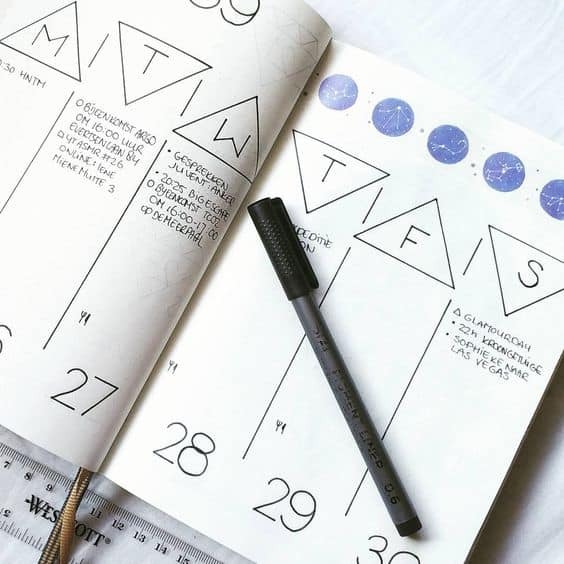 Want to learn everything you need to know about customizing your bullet journal? There is this AMAZING class that I have just finished. I highly recommend that you take it. 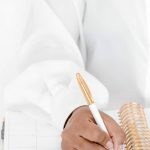 You will find yourself start to bubble with excitement to start creating those layouts on crisp new pages. 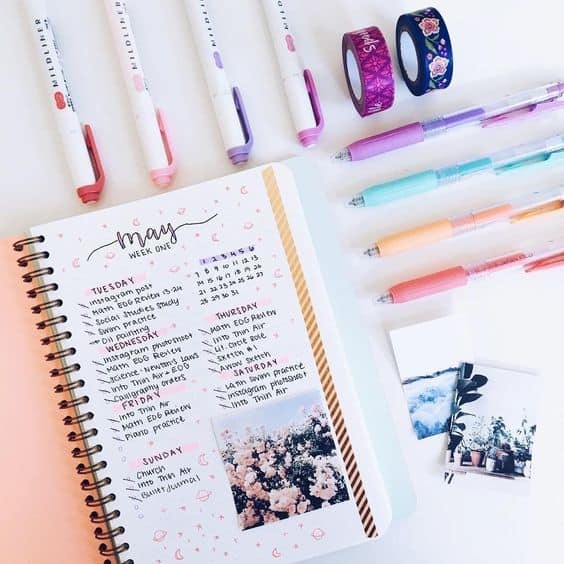 My favourite part is the end of the bullet journal when the pen has clearly touched all of the pages and the book is much thicker than before! I always feel myself swell with pride when I finish one lol! Not only that, but bullet journaling is an excellent stress reliever! Poopers and I spend a lot of quality time together working on the bujo. To learn more about emotional support animals (which is basically what poopers is, along with best friend and creative director of this blog), click through to read the guide! This has so many great journal layouts. Pinned and sharing. Thanks for sharing at the inspiration spotlight party @DearCreatives See you again soon. I’m so inspired by all these layout ideas. Can’t wait to get started in my bullet journal. 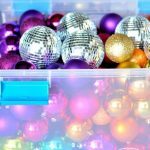 Thanks for sharing at the This Is How We Roll Link Party. Pinning now.